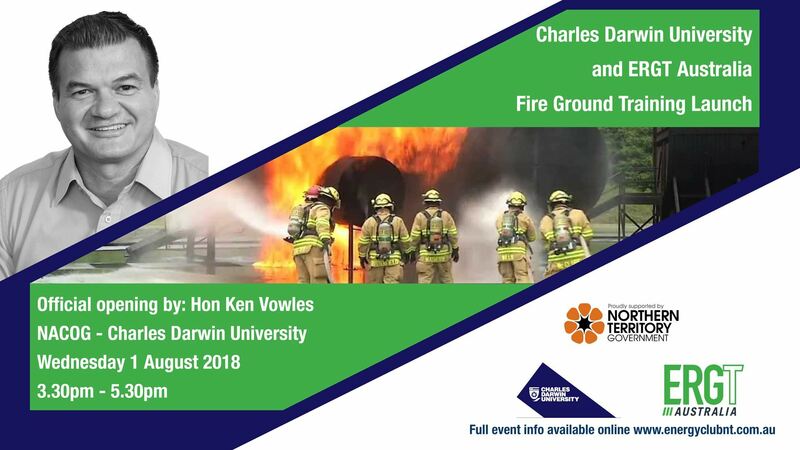 Charles Darwin University in partnership with ERGT Australia invite you to the launch of the Northern Territory’s first fire ground training facility, located at the North Australia Centre for Oil and Gas at Charles Darwin University. This facility represents a unique collaboration between the Northern Territory Government, Charles Darwin University and ERGT Australia, and will support the Territory’s Oil and Gas, Maritime, Mining and other Industries. The Hon. Ken Vowles MLA, Minister for Primary Industry and Resources will officially open proceedings. Guests will then have the opportunity to tour the new facilities and witness a demonstration of the fire ground in action. The fire training ground forms part of the North Australia Centre for Oil and Gas (NACOG) training and research complex at Charles Darwin University. These custom-built facilities have been designed to meet the specific needs of industry in the Northern Territory. This is a free event - please ensure you register for catering purposes.